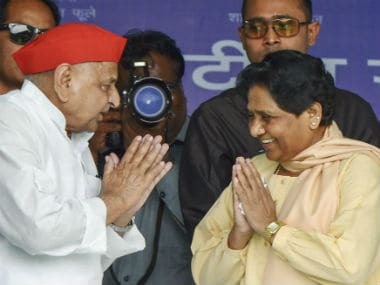 At 9 pm on Monday Mayawati began her press conference in Lucknow with a laugh and then telling the media persons she had no other option but to call them at that hour in the evening because Election Commission had imposed a ban on her to hold public rallies, road shows, interviews and any kind public utterance through media from 6 am, next morning. The way she began gave a sense that she had already prepared a strategy to counter the EC's 48-hour ban on any public statement to the best of her advantage. She was playing the victim card to the hilt and how as a grassroots leader who came up the political ladder fighting against all odds, she was still fighting it out with all her famed instincts. She was sending out a very strong a message to her supporters that she was held guilty for a crime she never committed. The goal was clearly to give a talking point to her party cadre and supporters as well as to agitate their minds so that they come out to take on rival BJP in the ongoing parliamentary election. Mayawati also termed the EC order illegal and unconstitutional (EC is a Constitutional body), a murder of democracy, black day in Indian history and a cruel act against her fundamental rights. Towards the end of the press conference, the BSP chief gave a peep into her strategy without revealing as to what was to come the next day. Mayawati didn't attend the Agra rally on Tuesday, the last day of campaigning for the second phase of polls, because of the EC order, but the rally was organised as scheduled and she sent her representative to the rally with her message. She asked her followers to give the person due honor as they would give her. An astute politician that she is, she kept her cards close to her chest. 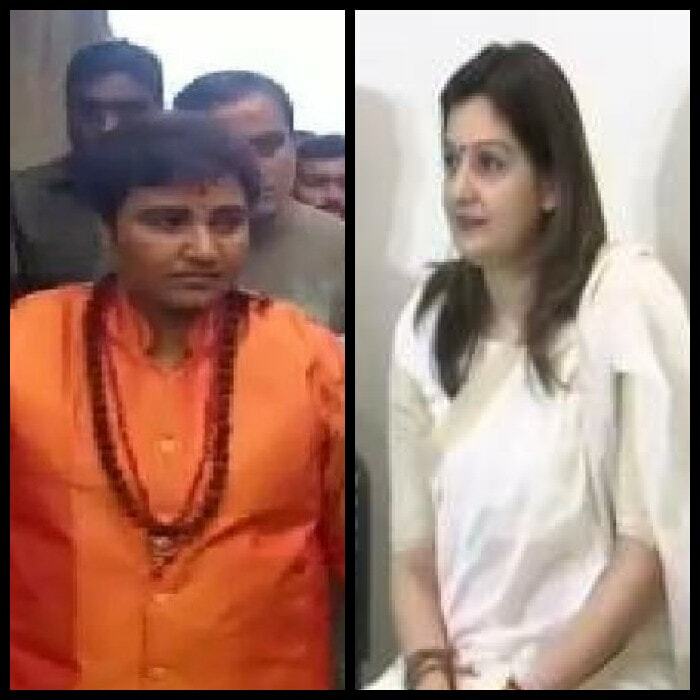 She was using the EC ban as a blessing in disguise, formally launching her 24-year-old nephew Akash Anand, an undergraduate from a university in Britain, into politics and without saying in as many words but letting her party workers, supporters and rest of the political class go on speculating whether she had just projected him as her successor. 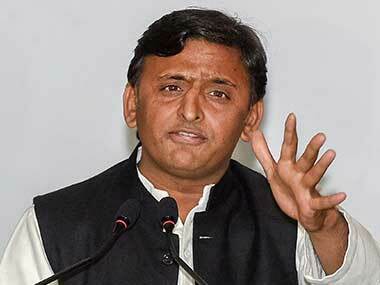 Akash was seated on the podium with Akhilesh Yadav on one side and senior BSP leader Satish Mishra on the other side. He spoke, reading from a written script just as Mayawati does. That part was noted and has been commented by some. Many wondered if Akash was only copying the style of his aunt or was it part of the script that was handed over by her. It should be noted that she had said in media conference that her representative would carry her message. Agra has substantive population of Jatavas, the community Mayawati belongs. Five years ago when Mayawati was “re-elected” as national president of BSP, she had said in a party conclave that she would look for her successor, somebody from Chamar or Jatav community, much younger to her but not from her family. Later, she appointed her brother Anand Kumar as party vice-president with the rider that he wouldn’t not contest any parliamentary or Assembly election but would focus only on organisational work. 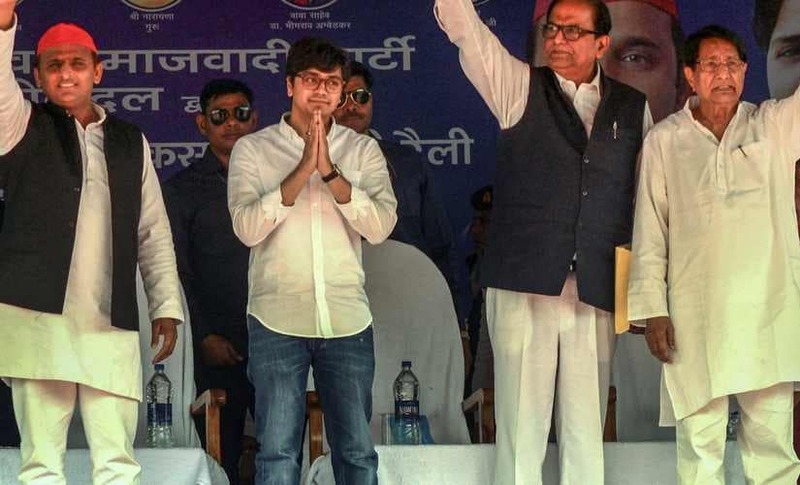 It was seen as a U-turn by Mayawati, giving a top post to her brother (who possibly could be her successor) after speaking against dynastic politics and inherent nepotism. Powerful BSP leaders like Swami Prasad Maurya and Nasimuddin Sidiqui quit the BSP after that. Kumar did not have the required capacity to be Mayawati's successor. Akash made a quiet entry in politics, as a key aide of BSP chief some time back. His first public appearance with her, at least when it was noted, was in May 2017 in Shabirpur in Sharanpur where a clash between Rajputs and Dalits had taken place. Bhim Sena chief Chandrashekhar aka Ravan was making news and was finding support from the community. Sources said Akash was spotted in various meetings with Mayawati including in critical ones like seat-sharing. His formal launch in politics as Mayawati's special representative has stirred political circles in Uttar Pradesh. Akash is young and educated. He has a long way to go. He also has to prove himself before he could be taken as Mayawati’s successor. But there is feeling among a section of BSP supporters that he could be Mayawati’s choice to counter Bhim Sena chief Chandrashekher. 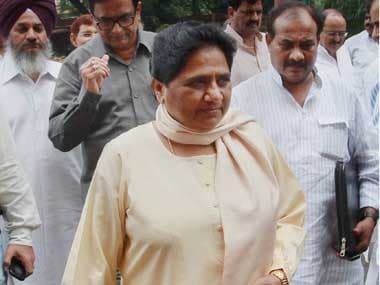 Mayawati has been critical of Chandrashekher while the latter has refrained from commenting against her, biding his time and making the BSP cadre and supporters believe that he has the appetite and stamina to be the future leader of Dalits.